Small businesses can act like big businesses with social media marketing. It isn't just the latest, greatest fad, it's a powerful mechanism to cultivate customer relationships and outclass big businesses without having to spend a fortune on infrastructure. The first rule of social media marketing is to create a website for your business, preferably with the same name as the business. This will be the main face of your organisation, and will give you a core platform to project the key messages about your business, brand, products and services. It will be one of the main points of contact between you and your customers, and the site that they will find through a web search for your business. Make the website easy to navigate, attractive and clear to read, and make sure that it communicates the culture of your business. It's important to get your branding right, so that you can replicate it across different social media platforms, and be instantly recognisable for customers. Second, make sure that you utilise free social media platforms such as Facebook, which will give you the ability to engage with customers. There are many other social networks apart from Facebook, however, and some of these might suit your target audience better, being aimed at business professionals, teenagers, females, or particular market sectors. However, having a page for your business on Facebook can help you to start dialogues with a broad range of customers, understand their likes and dislikes, showcase your products and services, and let them know about new initiatives and offers. Another great benefit is viral marketing - the fact that your business customers will tell other people about your site through their own Facebook pages. This is the way to build up brand awareness and an audience, but professional marketing specialists advise businesses to be active on their Facebook business pages, updating them frequently with comments, news, images and videos. This is because people check social networking sites at different times of the day, and with differing levels of frequency, so posts can easily get missed. It is a good idea to keep posts short, some say 80 characters or less. 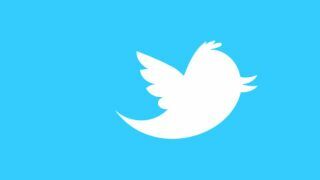 When it comes to Twitter, the length of Twitter feeds is limited to 140 characters, but studies have shown that posts with 80 characters or fewer received significantly higher engagement rates. Another important factor is that many people will be viewing social media sites using their smart phones or mobile devices, and may have smaller screen sizes, and be travelling, in other words have other distractions. This is where short and sweet postings can be more effective than long ones. Consistency in posting is also important, because marketing is often an activity that spans the months, and even years before getting results. Don't over-post, in other words, little and often is better than posting ten times a day. Posts should be thoughtful, engaging, and encourage conversation, feedback or sharing, and if it contains some form of media, such as a photo or video, it will most likely garner further attention. Facebook and Google offer sophisticated tracking and analysis tools, and these are worth investigating, as are adverts that can be targeted to your customers. Although there may be some cost involved, the results can be good. These tools can tell you about other links to your business or your social media marketing activity from other peoples' sites. You can share good reports and blog posts about your business with your own audience, and bad feedback can also be useful, as it can enable you to engage with individuals who may have an insight into your business or products and services that can help you to improve. There is a whole host of cross-referencing and linking tools and buttons that are worth using in your social media marketing, such as the Facebook 'Like' button, and social bookmarking tools such as Del.icio.us, DiggIt and ReddIt. By linking both outwards from your social media sites, and inwards from other blogs and websites, you are effectively build awareness of your company, and build up a loyal army of supporters. Ideally with a network like Facebook it's advisable to incorporate some element of interaction whenever you can, and include a call to action in your posts. So, for example, words like click, comment, share and like will increase engagement. Social media usage is still on the rise, as more people adopt mobile working, and ubiquitous web access, and the great thing is that social media marketing platforms are free. If you want to take it to the next level, you can choose to spend money on hiring a consultant or social media manager, and invest in ads and partnership deals. Saying that, it's well worth trying the free options first.